Check out this adorable vinyl fig from Funko, Pop! 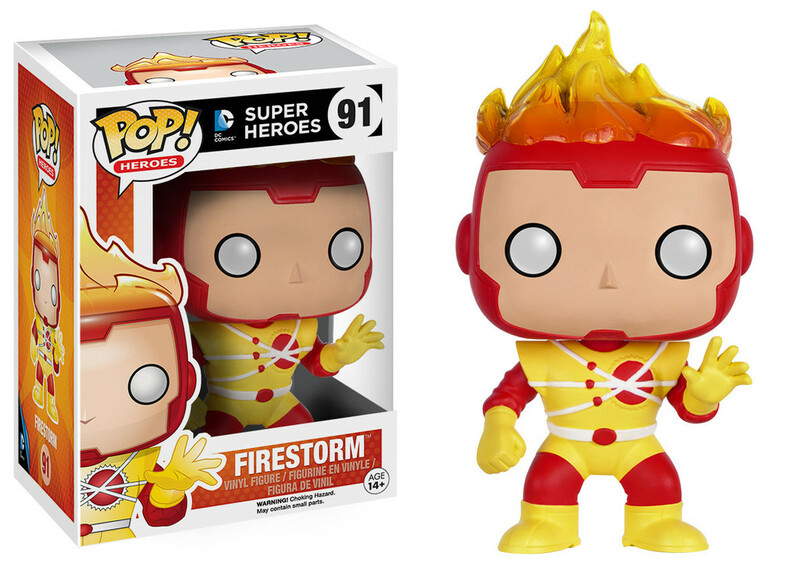 Heroes: Firestorm!! So cute! These are expected in stores in May or June 2016. Diamond Comics already took orders on these, so ask your local comic shop if they can reorder this item. Click here for the Diamond Comics item code. If Diamond isn’t an option, there are plenty of online stores taking pre-orders. My thanks to all the Match-heads who gave me a heads-up on this toy: Brad Glynn, Christopher Luke, Jacob Edwards, Adam Stabelli, Joseph Kimbler, Andrew M, and Justin Gyorfi. My apologies to anyone I missed! ← Order Your New Firestorm T-Shirt Now! I didn’t know what to think of the Funko POP! figures when they first started showing up, but man, they have some staying power huh? Oh, how did I miss this? Awesome and adorable. Gotta keep my eyes open for this one!